And secondly, because we have a Hood in the book, Hood 7 was so thrilled to featured in one of the photographs. Local is really lovely: This book is specially created for South African shores. 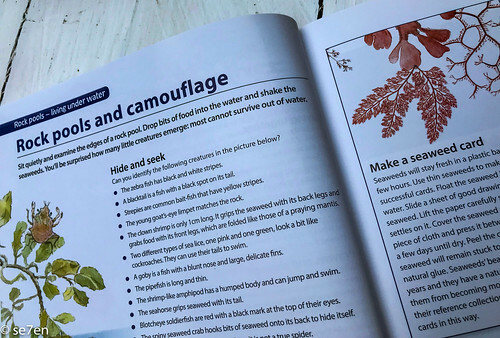 So many of our nature study books are written for studying nature overseas, and we really need to refer to local guide books when we are exploring out and about. This book is packed with local plants and animals that we see on our daily ambles on the beach. 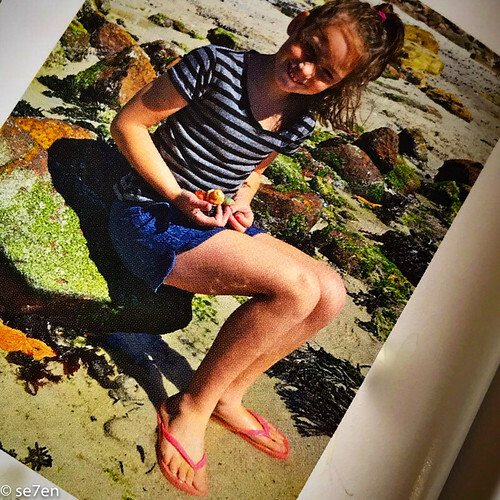 It is wonderful to have a beautiful nature guide, that is easy for younger children to navigate and use, as they explore our local shoreline. This book is Picture Rich: Full colour Photographs throughout and where photographs don’t show enough detail, then Margo Branch’s beautiful water colour illustrations certainly liven the pages of the book. 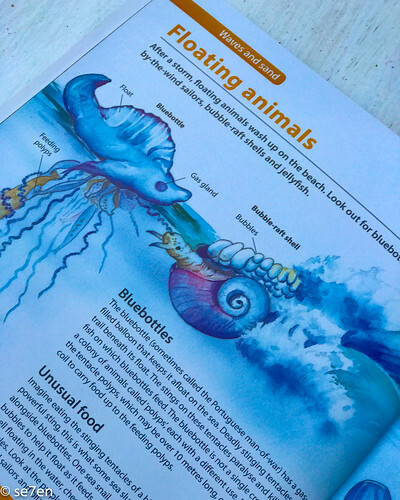 Illustrations show you all the details of how certain molluscs breath, how the sea slug eats anemones, which seaweeds do herbivores avoid and so many many more. The illustrations are finely detailed and beautifully coloured, beautiful and even if you cant go exploring at the sea side, you will get a good understanding of the creatures and plants that you find there. 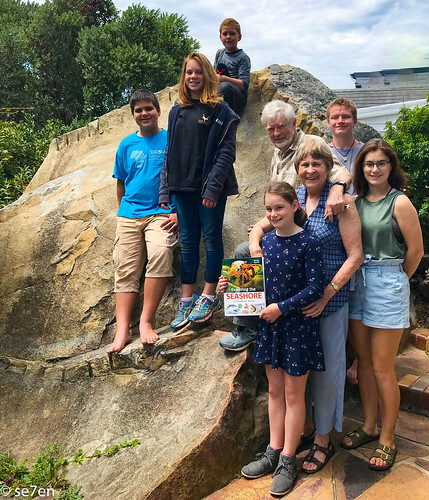 Easy to Read: The information is presented in small accessible bites, which is a big factor when selecting books for young readers, whose knowledge and enthusiasm can easily out rank their reading skills. There are boxes of “Did you know?” And “Things to do” to encourage enquiring minds, on every double-page spread. Just enough information, in words that young explorers really can understand. 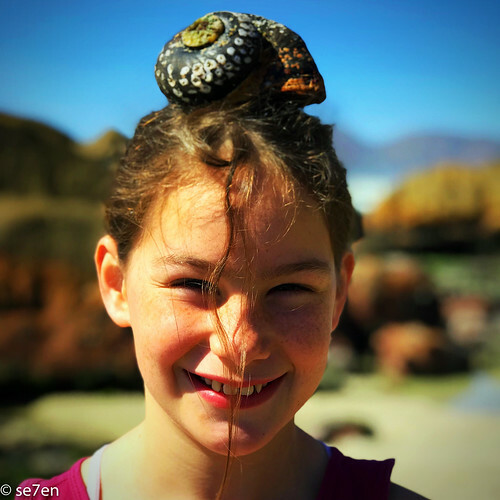 Things to do when exploring a rock pool, when you spot a crab shell, things to look out for when you find particular sea shells… very practical and doable activities for interested children. 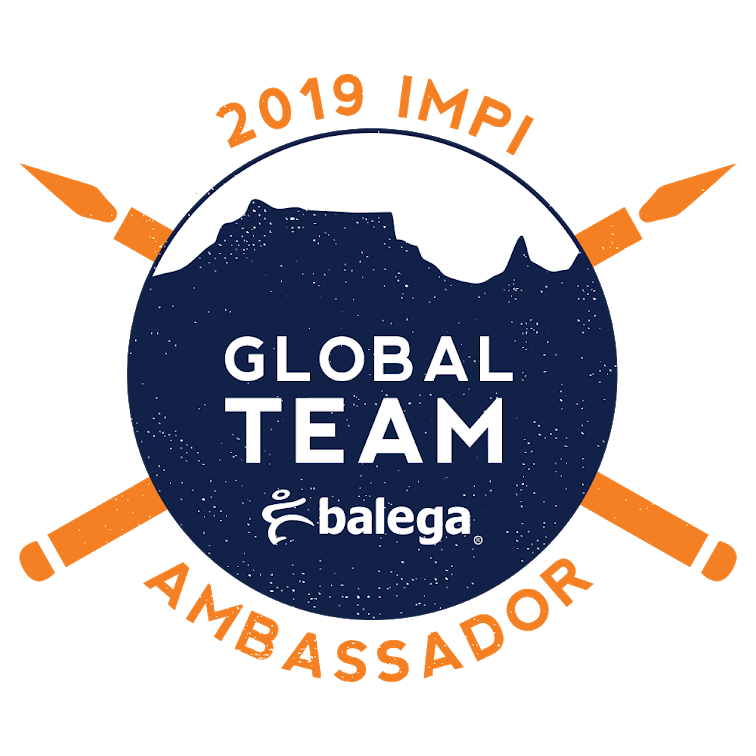 The questions are also great, thought up by some who spends a lot of time with inquiring children: Did you know, for instance, that one tagged shark swam over 20000km to Australia and back in nine months; Did you know that sea anemones are not plants, they are animals? 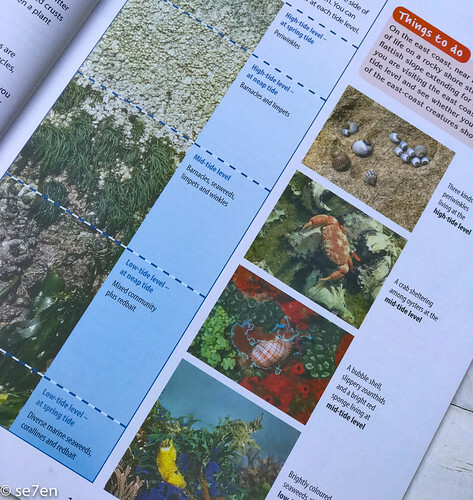 Quick Reference Guide: The book is divided into sections on sandy beaches, rocky shorelines, rock pools and so on… and the chapters are colour coded for quick looking up. So book in hand, head out and whether you are on a rocky shore or a sandy beach, you just have to flip to that section and you are away. There is also a glossary of new words, and an index for when you need to look up something specific. Filled with Fascinating Facts: This book is great for dipping into. There is a lot of information and each time we page through it we find new and interesting snippets of information. It is definitely not a book, just for kids, in fact… this is a book for everyone, that kids and adults will both enjoy just as much. 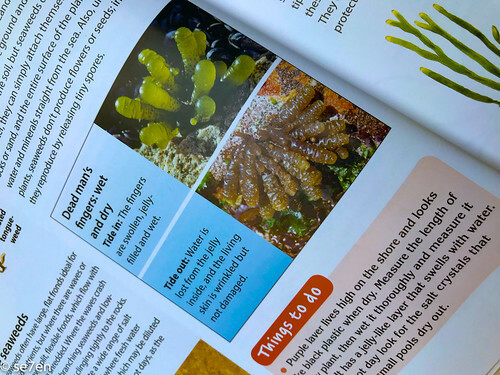 If you love the ocean or anything to do with marine life, then this is a book for you. There is a section for Eco-Warriors: In this era, you can’t possibly have a book about the ocean without a section on conservation and sustainability. 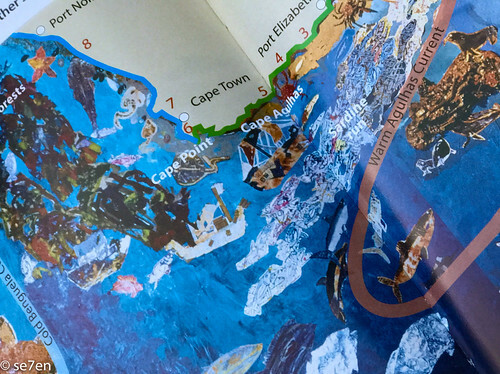 This book talks about South Africa’s Marine Reserves, there are contact details for particular conservation projects, a list of reserves to visit and a page of useful contacts and websites for children that want to look further and learn more, or even get involved with projects around the South African coastline. There is More: This book is part of a series, there is a Fynbos one as well… that we have found incredibly useful for exploring the mountain on our weekly hikes. The books are A4 size, but not chunky, so definitely fit into a back pack for traveling around and quick reference when you are out exploring in the great outdoors. 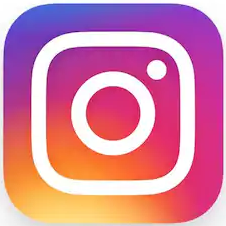 Hay MrsFF, isn’t it fabulous. 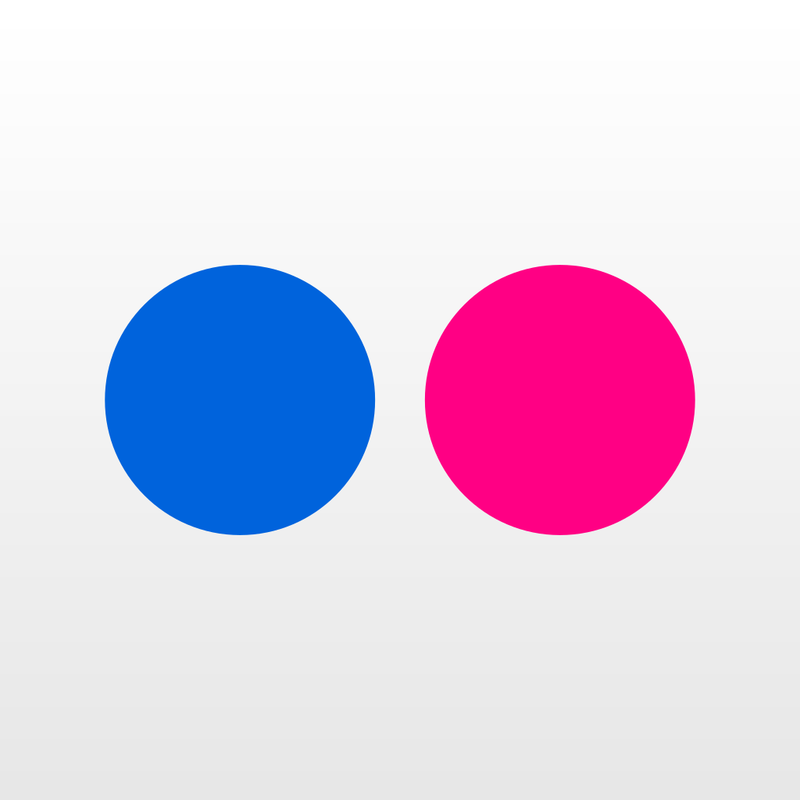 It is so great to have a book that has information so easily accessible inside of it… we have really enjoyed it.